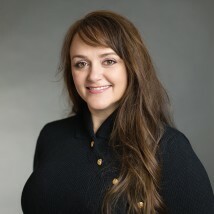 Dr. Popovsky was born in Philadelphia, PA. She completed her undergraduate education at The University of Pennsylvania and then Temple Medical School. She moved to Cleveland to do her residency in dermatology at The Cleveland Clinc and then completed her surgical training at The Center for Surgical Dermatology, The James Cancer Center at Ohio State. Dr. Popovsky specializes in Mohs Micrographic surgery. She is a Fellow in the Mohs College, an organization reserved for fellowship trained Mohs surgeons with less than 2,000 members worldwide. She performs more than 1,000 Mohs cases a year and is the only surgeon in the Akron-Canton area whose practice is exclusively dedicated to skin surgery. She lives in Moreland Hills, Ohio. She has twin daughters, Roxanne and Jordan, and a son, Julian. Dr. Barrick was born and raised in Minerva, Ohio. He completed his undergraduate education at the University of Mount Union in Alliance, Ohio. He then attended the Edward Via College of Osteopathic medicine (VCOM) in Spartanburg, South Carolina. After graduating among the top of his class he completed his internship at OhioHealth O’Bleness Hospital in Athens, Ohio. 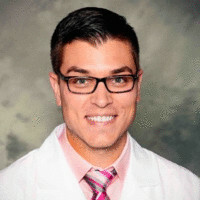 He then moved to Allentown, Pennsylvania where he completed his dermatology residency at Lehigh Valley Health Network. He is an accomplished author in several peer-reviewed journals. He is returning home to provide high-quality, dermatologic care to those in northeast Ohio. Dr. Barrick’s practice focuses on general, surgical and cosmetic dermatology with an emphasis on treating his patients more like family than like patients. When Dr. Barrick is not working he enjoys spending time with his wife and two young daughters. Darla Hadden, PA-C, joins DSC with 22 years of experience in the field of Dermatology. She began her career as a Medical Assistant. She earned a Bachelor of Science at Marietta College in 2002 and her Masters in Physician Assisting in 2004. Darla’s professional memberships include: American Academy of Physician Assistants (AAPA), Ohio Academy of Physician Assistants (OAPA) and the Society of Dermatology Physician Assistants (SDPA). She is NCCPA certified and keeps current on the latest Dermatologic treatments through regular attendance at conferences and continuing medical education courses. She is married with two young boys, Brodie and Grayson. In her spare time she enjoys going to Cleveland Indians games and spending time with family and friends.